SABCA is one of the main aerospace companies in Belgium. Founded in 1920, it has built an extensive and varied know-how based on its 90+ years’ experience in designing, building and upgrading large and complex elements for aircraft and space launchers. 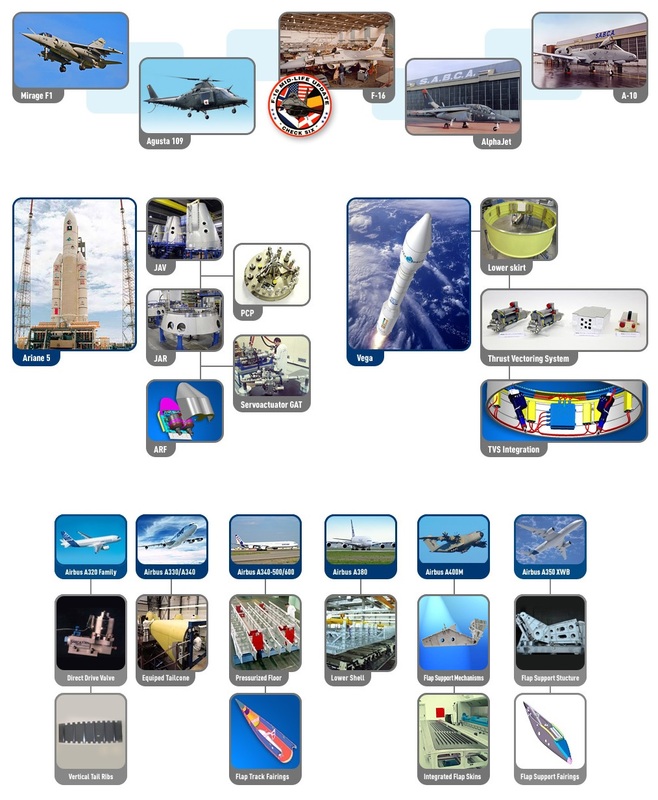 The company’s customers and partners belong to the elite of the aerospace world and are spread worldwide. SABCA has the following certifications: EN/AS/JISQ 9100, ISO-9001-2009, AQAP 2110, POA i.a.w. EASA part 21 Subpart G, PRI-NADCAP (Chemicals & NDT). Several types of military aircraft and helicopters find a home at SABCA's Charleroi plant for heavy maintenance, repairs or major upgrades. SABCA's large hangars provide a direct access to the 2500 m long runway and can hold more than 15 aircraft at a time. The company’s locally based engineering office provides cost effective solutions for upgrades of the structure, navigation and weapon avionics, power generation, chaff and flares and other systems integration. SABCA’s work is performed in collaboration with companies like Dassault, Lockheed-Martin, Safran, Sagem and others. More than 12 Air Forces around the world are regular customers of the SABCA Charleroi plant. SABCA is a reliable partner of major OEMs for commercial, business and transport aircraft like Airbus, Dassault Aviation and Gulfstream. The company’s participation in their programs includes pre-design, design, development, production, testing and after-sales support of large and complex metallic and composite primary and secondary structures. SABCA's specialties comprise heavily loaded metallic structures like Pressurized Floors and Flap Support Mechanisms. On the composite side, SABCA provides advanced CFRP skins with integrated stiffeners for their flaps and horizontal stabilizers, as well as HTP spars and Flap Track Fairings. SABCA also produces special systems for business and commercial jets, like the Direct Drive Valve (DDV) equipping the A320 family and the A340-500/600, or hydraulic devices for the Dassault Falcon jets. An early participant in the European space programs, SABCA has been involved in the design, development, production and testing of all models of the Ariane European space launchers, including the Ariane 5, as well as in the new Vega small launcher program. The company’s participation includes major structural elements, both metallic and composite, like the lower and upper skirts of the Ariane 5 boosters and the lower section of the Vega main body. SABCA is also responsible for the complete Thrust Vectoring Control Systems (TVC) of these launchers, including actuators and associated electronic local control loop. These allow the steering of the rocket on the requested trajectory. Next to the structures and TVC's, SABCA produces various special interfaces like a quick-release connection for the Ariane 5 ground umbilicals, as well as fairings for the separation rockets. The company’s customers include ESA, Arianespace, Airbus Defence and Space, ELV, Europropulsion. OGMA - Industria Aeronautica de Portugal S.A.